The basement is often the most overlooked square footage in a home. Many people consider it a storage area, or simply don’t use it at all. The average basement, as long as it is properly sealed, can nearly double the square footage of a single-story home. It may be used for a variety of purposes including a play room, game room, home theater, or any other additional living space. Your basement remodeling project begins with a simple phone call. 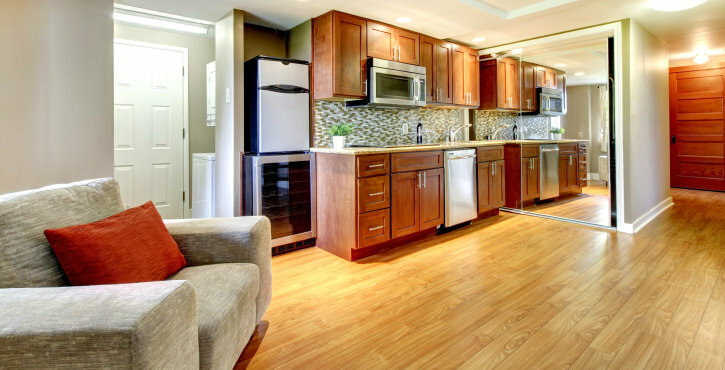 Share your ideas with us and we’ll lend our expert advice to transforming your basement into the perfect space. Don’t worry about the functionality of specific rooms while you’re designing your new area, we will work within your design to create the functionality your new room or rooms require. We only need to know what you want from your basement and we’ll work to make that vision a reality. We will work diligently to complete the project in a timely fashion without causing an undue amount of inconvenience to your family life. We’ve worked with hundreds of homeowners in the area. Each project we’ve had the pleasure to work on has been completely unique. The homeowner is always left with a sense of accomplishment when they realize that their new finished basement has come to life before their very eyes. Finally, we would like to thank you for your interest in Tidewater Homebuilders. Before you go, if you would like to speak to us directly, you can call us at 301-751-3554 or contact us through our website by clicking here.